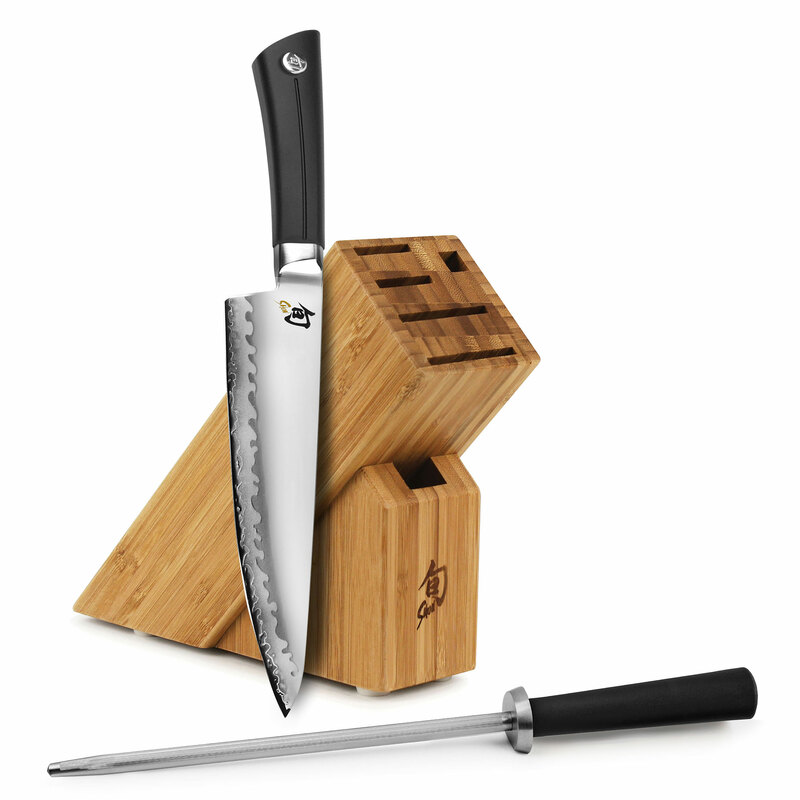 Set includes a Shun Sora 8-inch Chef's Knife, 9-inch Combination Sharpening Steel and 6-slot Bamboo Knife Block. The Shun Sora Chef's Knife is an all-purpose knife used for a wide variety of cutting tasks including slicing, dicing, and chopping fruits, vegetables, and more. With its curved belly, this Chef's knife can also be gently rocked through fresh herbs or spices to produce a very fine mince. 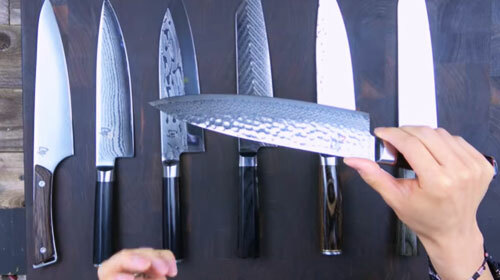 Sora uses Shun's proprietary composite blade technology bringing together a VG10 san mai cutting edge with a Japanese 420J stainless steel blade. The two blade sections are laser cut and fit together like pieces of a puzzle, and the braze welding permanently joins them together. 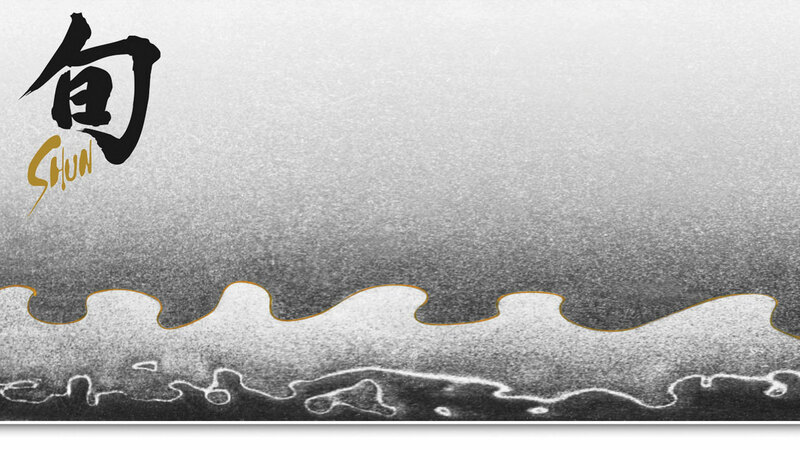 The wavy pattern at the joint is based on traditional Japanese sword hamon lines. 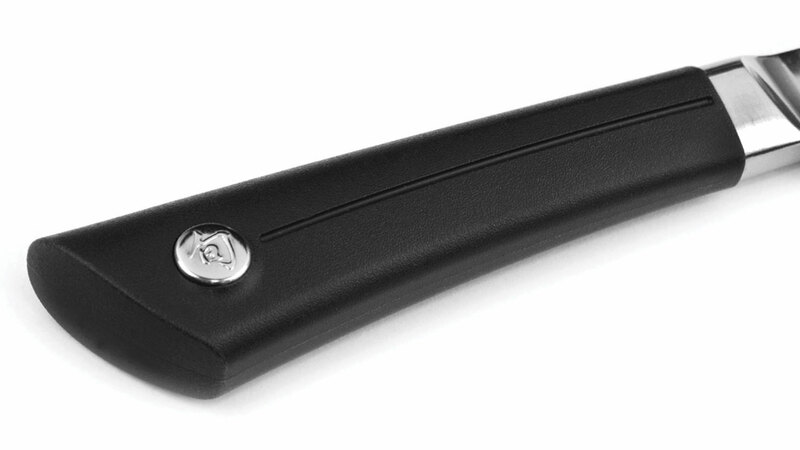 The textured PP/TPE polymer blend handle material provides a contemporary look, secure grip, while easy to maintain. 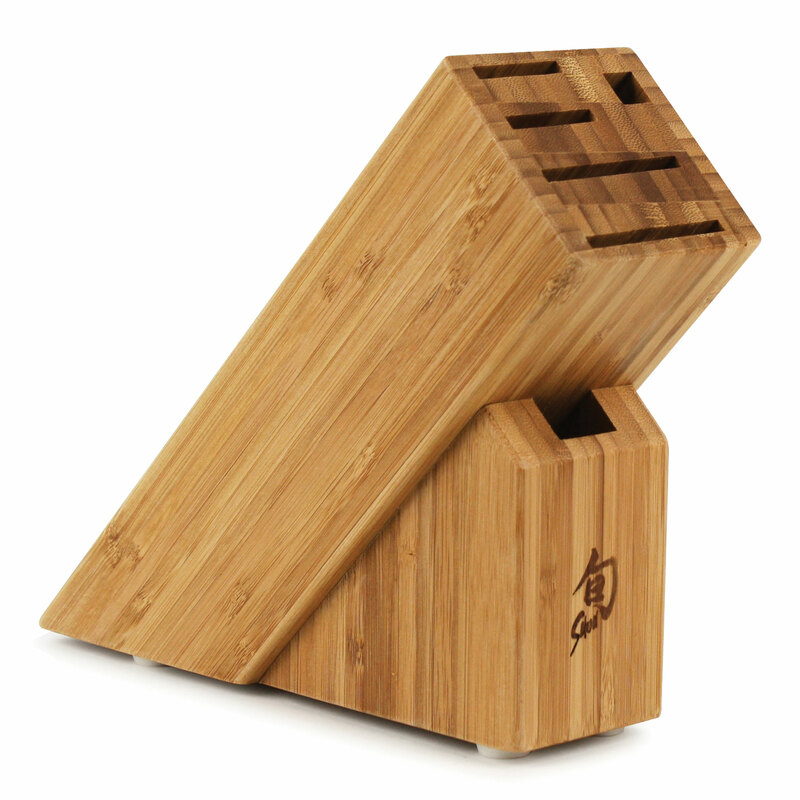 The debossed stainless steel logo enhances and balances the handle. Handcrafted in Seki City, Japan, 10-year warranty. 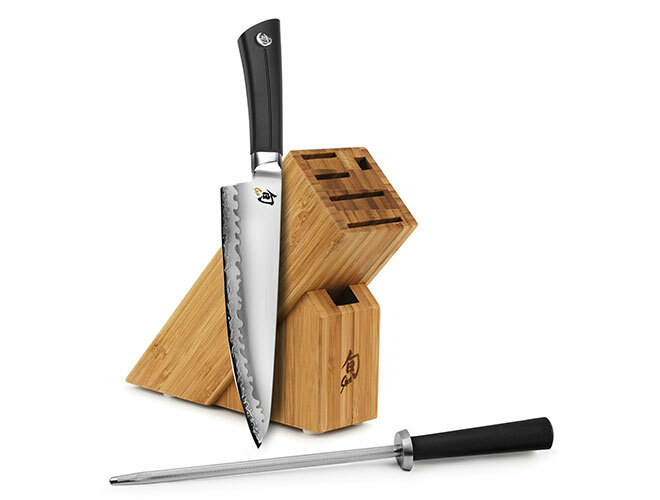 https://www.cutleryandmore.com/shun-sora/chefs-knife-steel-block-set-p137303 37303 Shun Sora 8" Chef's Knife, Steel & Block Set https://cdn.cutleryandmore.com/products/large/37303.jpg 124.9500 USD InStock /Cutlery/Chef's Knives Set includes a Shun Sora 8-inch Chef's Knife, 9-inch Combination Sharpening Steel and 6-slot Bamboo Knife Block. 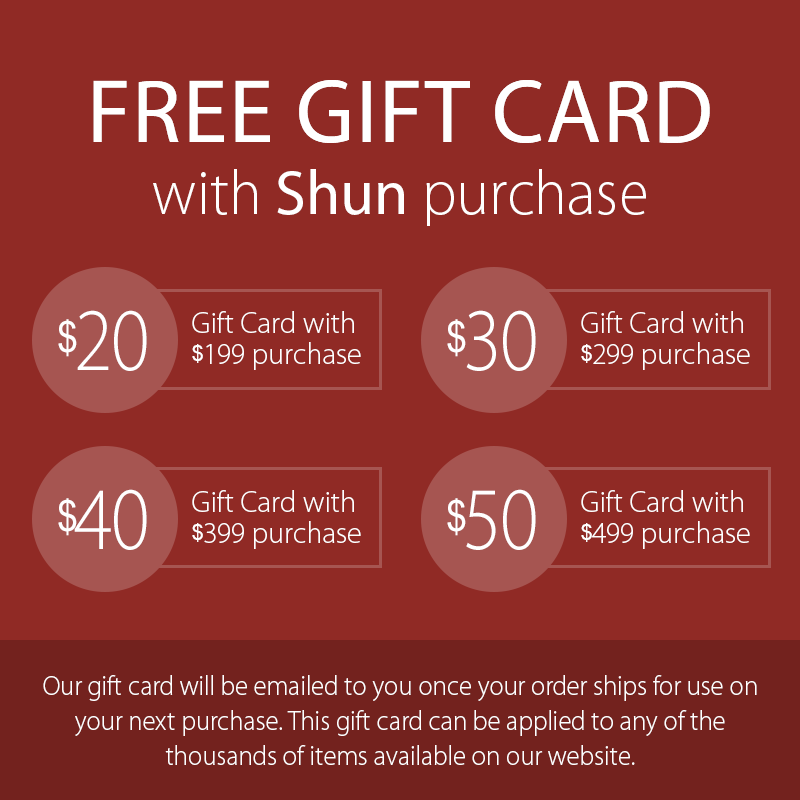 The Shun Sora Chef's Knife is an all-purpose knife used for a wide variety of cutting tasks including slicing, dicing, and chopping fruits, vegetables, and more. With its curved belly, this Chef's knife can also be gently rocked through fresh herbs or spices to produce a very fine mince. 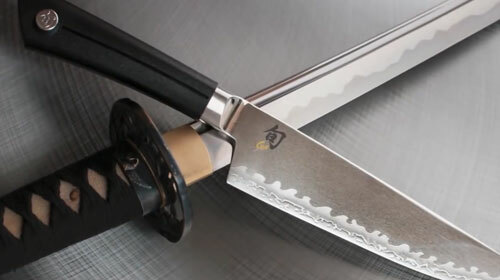 Sora uses Shun's proprietary composite blade technology bringing together a VG10 san mai cutting edge with a Japanese 420J stainless steel blade. The two blade sections are laser cut and fit together like pieces of a puzzle, and the braze welding permanently joins them together. 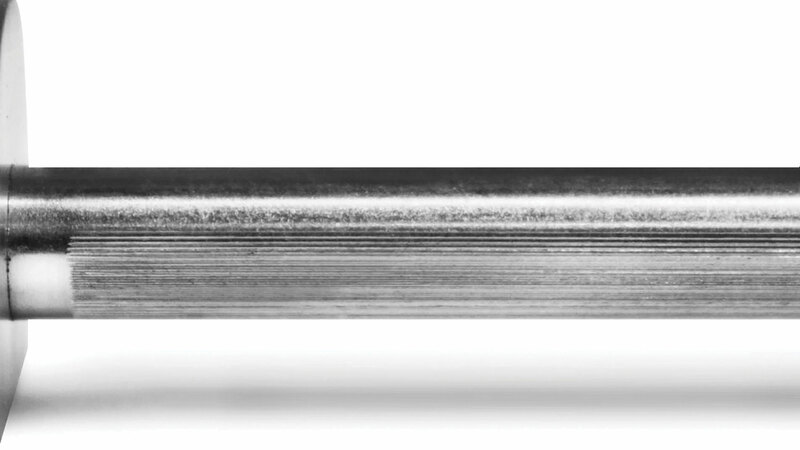 The wavy pattern at the joint is based on traditional Japanese sword hamon lines. 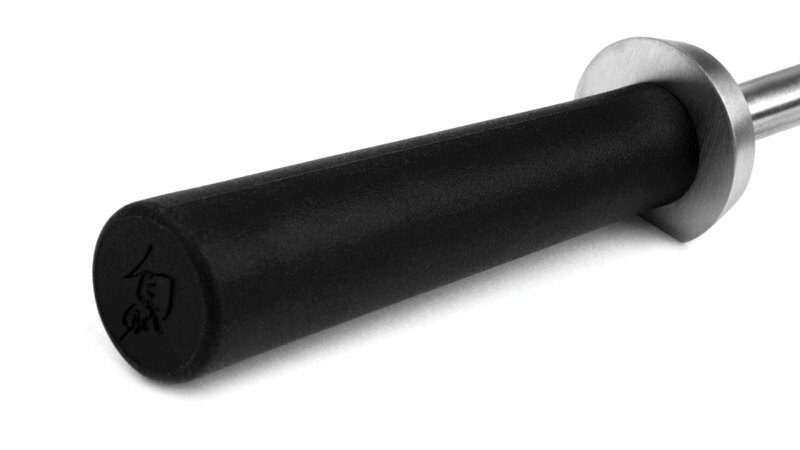 The textured PP/TPE polymer blend handle material provides a contemporary look, secure grip, while easy to maintain. 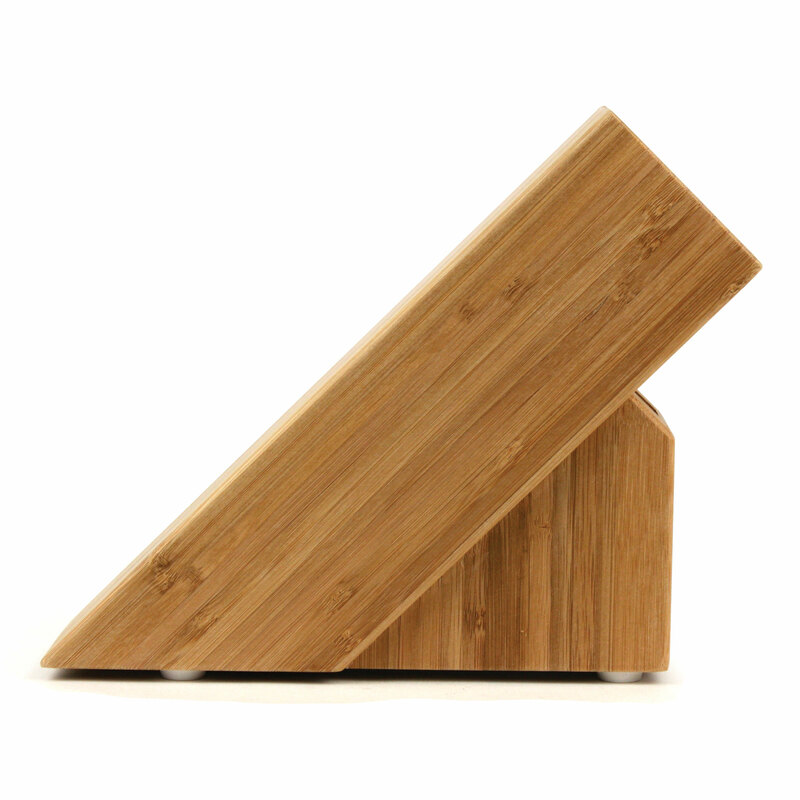 The debossed stainless steel logo enhances and balances the handle. 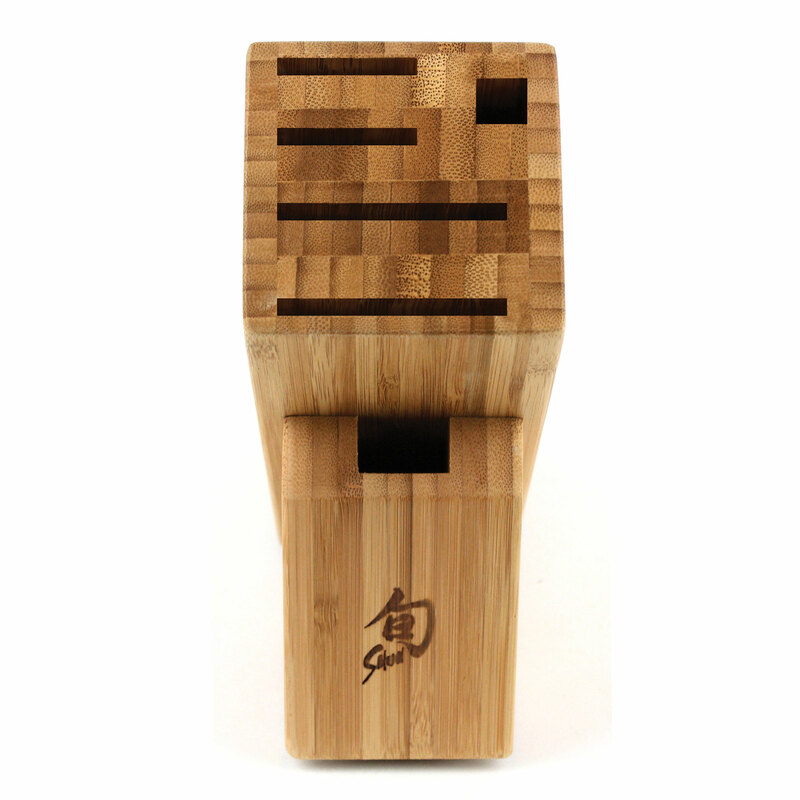 Handcrafted in Seki City, Japan, 10-year warranty.